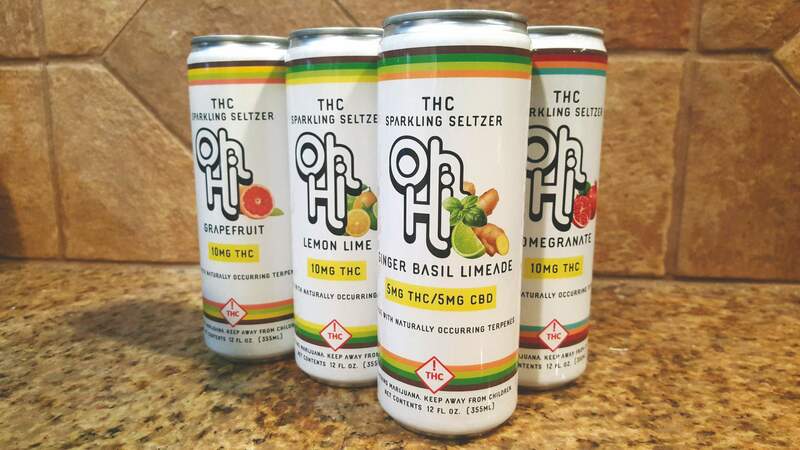 In a meeting of the minds between Durango Organics owners Jonny Radding and Aaron Miles, and Matt Vincent, one of the owners of Ska Brewing Co., these entrepreneurs released Oh Hi, a THC-infused sparkling seltzer, just in time for our April 6 Durango Cannabis Crawl. The canned edibles, er, drinkables, are available in four flavors: ginger basil limeade, pomegranate, grapefruit, and lemon lime. While pomegranate, grapefruit, and lemon lime are dosed with 10 mg of THC each, ginger basil limeade contains 5 mg of THC and 5 mg of CBD. The drinks are made with water-soluble THC, so customers won’t get a side flavor of weed when they throw these drinks back. But yeah, sipping on these cans WILL get you high. These babies sell for $8-10 a pop, and during the Second Annual Cannabis Crawl, there will be a buy-one-get-one for a penny at the Oh Hi pop-up at the Durango Organics location at 72 Suttle Street, Suite F. Oh Hi drinks are available at Durango Organics and other Colorado retail dispensaries. We got our hands on these bad boys recently to taste for your reading pleasure, and after arguing as to who would get which flavor, a process that included someone hiding the drinks behind their back while the rest of us chose a hand, we all settled into our seats to sip our chosen drinks. All the flavors rang true to their word – the grapefruit tasted like grapefruit, the pomegranate tasted like pomegranate, the lemon lime tasted like lemon lime, the ginger basil limeade tasted like ginger basil limeade, and the snozzberries tasted like snozzberries. I ended up with the lemon lime and, as you would expect, it tasted of lemon lime. It reminded me of a lighter version of Squirt, the soda of my childhood. I was only halfway through my can of lemon lime when I began to feel the effects of Oh Hi: loopy with a side of non-stop giggling. It seemed to come out of nowhere and gifted me with a helping of dry desert mouth. It wasn’t long before “Spongebob Squarepants” was on the television and I was struggling to follow the plot line as multiple Spongebobs began rocking out in a solo guitar ballad against a psychedelic background, which made my head spin. Despite my THC-induced confusion, I couldn’t stop laughing to myself. One of my couch companions kept side-eyeing me and asking if I was OK. I wasn’t. Across the couch were the other Oh Hi venturers. Both were completely zonked and missing out on the best cartoon ever created. I, on the other hand, was living the stoner’s dream, with a bowl of hot ramen in my lap while pondering how there was a pool inside the ocean in the land of Bikini Bottom. With those deep thoughts toiling around in my brain, I decided it was time to call it a night and answer sleep’s siren call. In short, unlike “Spongebob Squarepants,” if you’re following a TV show or movie with a complicated plot line, maybe hold off on the sparkling water till later. But, if you’re looking for a good time, lots of giggling, and/or a stone cold sleep, you might want to do yourself a favor and track yourself down a pack of Oh Hi. It’s like the grown-up La Croix, only better.